If you own a Hummer, you stand out – in size and power. 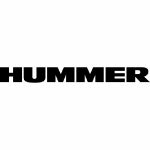 Never settle, we have an extensive collection of genuine Hummer parts & accessories in stock in our 56,000 square foot warehouse located just a few minutes away in the heart of the Inland Empire. From the H2 to the He Alpha, we have you covered. Hummer was introduced as a civilian vehicle in 1992 to the American public. In 1998, the brand was acquired by General Motors and additional vehicles were added to the brand offering. The brand thrived for a few years before the economic downturn forced GM to dismantle the brand in early 2010. On May 24, 2010, the last Hummer H3 rolled of the production line in Shreveport, LA. Despite these events, Hummer vehicles still make a statement and cruise American highways.